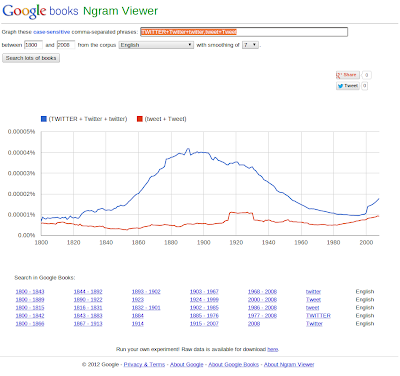 Google Ngram Viewer Now In "Define"
I've always found Google's definitions to be useful but yesterday I noticed they had added something useful from Google Books to their definitions: understanding a word's usage over time. Anyhow, this may not be new to the world but it was new to me and is way cool. As the Google Books legal cases continue, it is also another great example of the value of the initiative to the public. PS Two more I couldn't resist adding. Good luck not spending the next half hour doing your own. 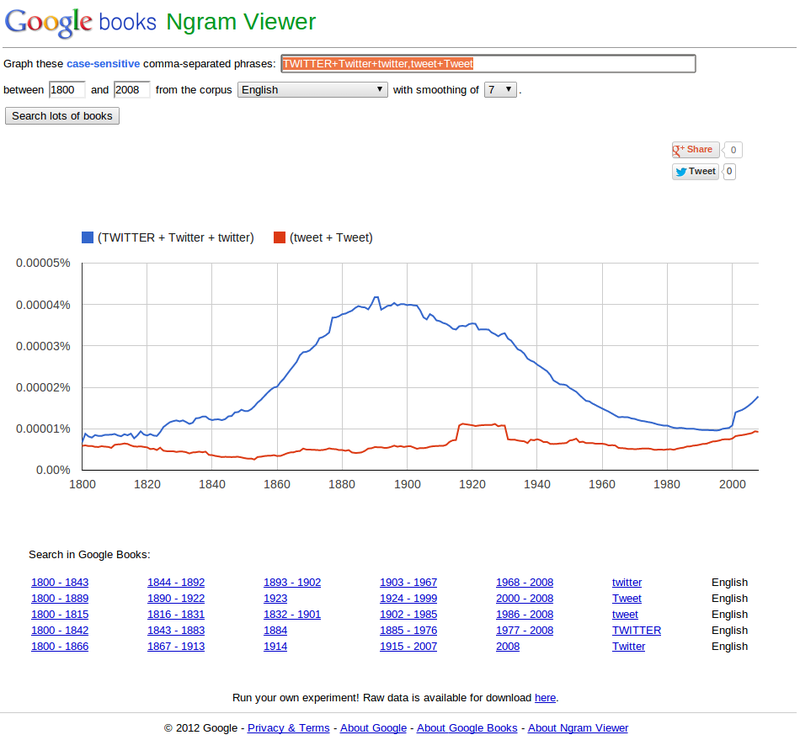 Update: And yes, there are many flaws with relying on the Ngram data to prove a point without further analysis. For examples, see Robusto's discussion on StackExchange.